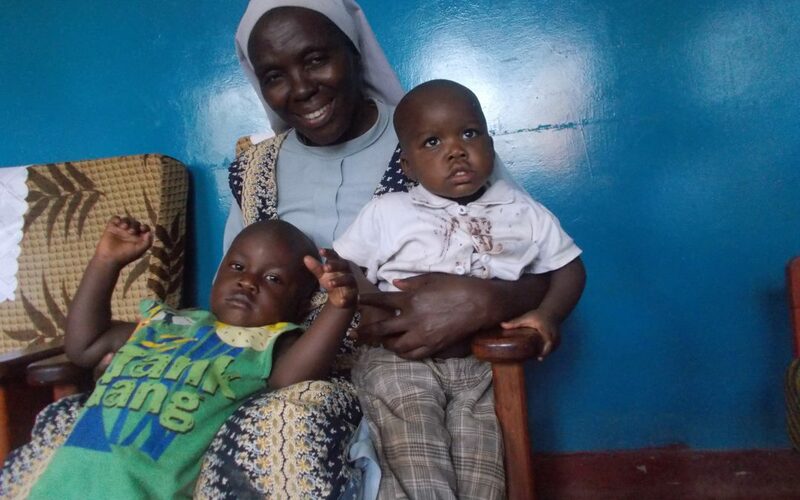 The management of Lira Babies Home also known as The Holy Innocent Babies Home- Ngetta has expressed gratitude and appreciation to all those who participated and helped them in planning, organizing and celebrating the Golden Jubilee of their first baby which took place on 14th November. A big congregation that included the religious men and women, the laity, pupils and students turned up at the orphanage for the occasion that was preceded with a high Mass led by then Bishop of Lira Diocese and now the Apostolic Administrator Rt. Rev. Joseph Franzelli. In a message released on Saturday 24th November, Sr. Demmy Frances, the warden of the home paid special tribute to all those who responded to their invitation and made contributions. In a special way, Sr Demmy prayed for the souls of the departed especially for Fr. Ben Ouma Kizza, then Parish Priest of Our Lady of Fatima Agwata who by that time attended the celebration in person. Others mentioned but a few include the Priests, Sisters, schools like Leo Atubu College, Bishop Tarantino, Comboni College, Dr Obote College, St John Bosco Technical school and St Kizito Nursery and Primary school who participated in the liturgy. Other institutions recognized include radio stations that participated in mobilizing the masses, God Helps Uganda, Adina Foundation and Children of the Nation among others. Mr Richard Teddy, Isaac Judith, Tony Miriam, Dorcus Francis, Robert Florence, Bosco Aleny, James Milly, Bosco Jack, Dorcus Ocen and Leon Agen are among those the Sister said made personal contributions to the orphanage.